"Are you going to fit the culture and be small inside, or are you going to be a misfit and unpack the treasure within you?" -Arthur Burk How does a culture grow smallness? 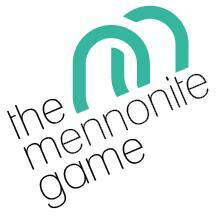 American, Mennonite, or otherwise? What's the difference between cultural sensitivity and an unhealthy assimilation into a culture? Hearing God’s Voice (Part 3 of 7): What is Prophecy? Continue reading Hearing God’s Voice (Part 3 of 7): What is Prophecy?